In Riptide, an angry Jake Lassiter goes on the trail of $1.6 million in negotiable bonds ripped off from his favorite client, octogenarian Sam Kazdoy. As he goes on the hunt for the missing money, things take a more sinister turn when Jake’s old buddy, Berto Zaldivar, a lawyer-turned-smuggler, ends up dead. From Miami to Bimini to Maui. The painstaking search for clues for both these crimes takes him to a menacing professional windsurfer and his companion Lila Summers, a champion athlete and lethal femme fatale. Determined to get to the bottom of what happened to the money and discover who was responsible for the death his friend, Jake’s detective work leads him from Miami to Maui via Bimini, and ultimately ends in an explosive finale in which he learns lessons never taught on the football field or in the courtroom. 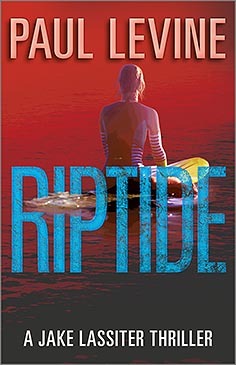 Riptide was originally published as a hardcover under the title Slashback. Here’s what others have said about this gripping novel.